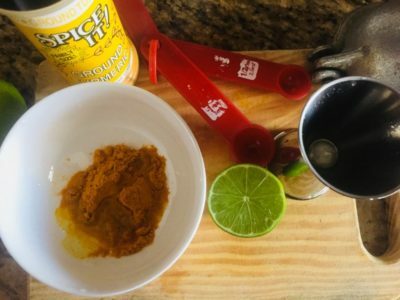 Turmeric is one of the most powerful ingredients on the planet, especially when it comes to health and skin care. It’s packed full of vitamins, minerals, and antioxidants which cleanse the skin from deep within, heals scars and dark spots, and gives skin a beautiful glow. 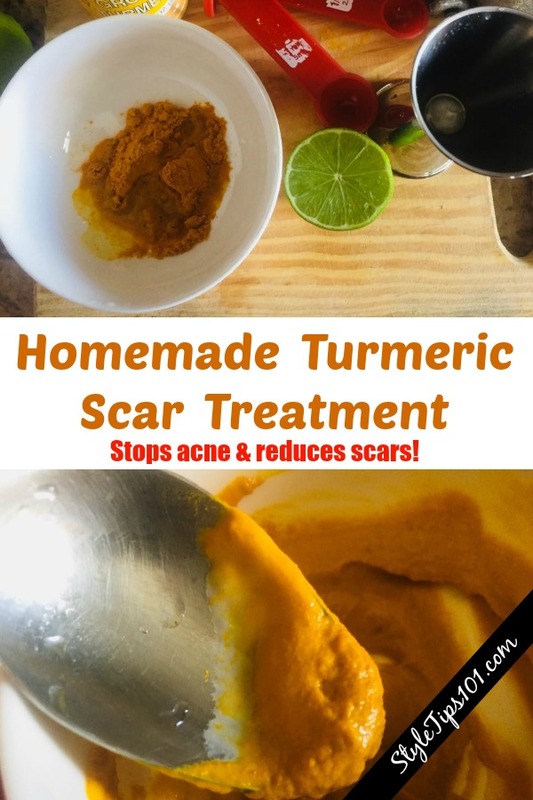 This homemade turmeric scar treatment contains all natural ingredients that help to kill bacteria and therefore stop acne and breakouts, all the while helping to fade acne scars, dark spots, sun spots, and age spots. SO much better than expensive store-bought creams and healthier for your skin as well! Turmeric is naturally anti-inflammatory, anti-septic, and anti-bacterial, making it an excellent acne fighter. It also contains healing properties, therefore fading away acne scars, dark spots, age spots, and sun spots alike. Yogurt gently exfoliates the skin removing dead skin cells and revealing brighter, younger looking skin. Yogurt is also packed full of antioxidants and gently cleanses the skin. Lime/Lemon Juice fights off bacteria, prevents breakouts, and lightens the skin, therefore combating scars and skin discoloration. 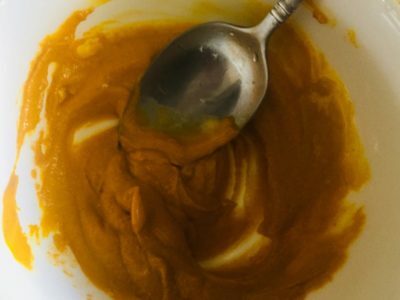 In a small bowl, mix together the turmeric powder with the plain yogurt. Squeeze in about 2 teaspoons of lime or lemon juice and stir well. Apply directly over any scars, dark spots, or breakouts, OR apply over entire face. For those with sensitive skin, please patch test before using as lime juice can be quite powerful.